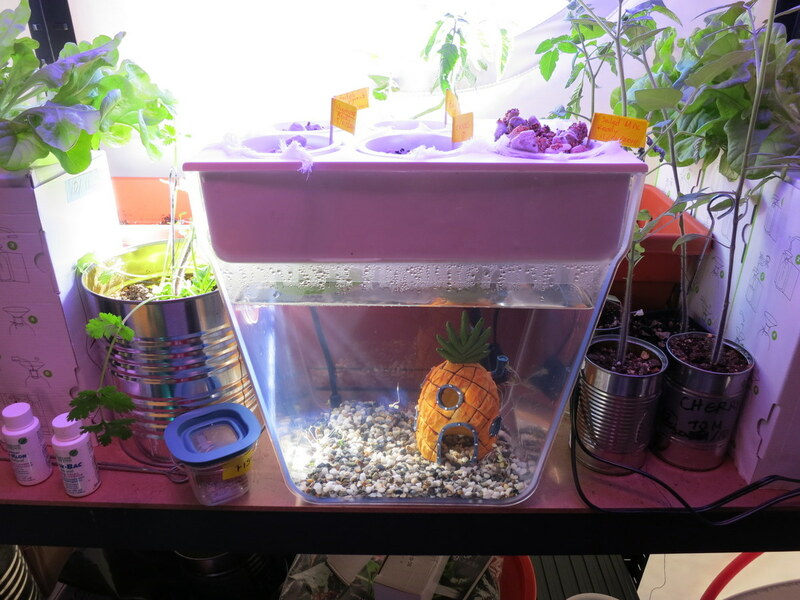 For Christmas one of the presents to the crew was a small aquaponics set up. Aquaponics is like hydroponics in that you grow plants without soil and instead use water to transfer nutrients, but adds fish into the mix to supply the nutrients rather than having to artificially add them. So now we have ourselves a hab pet who needs a name. TO the email address indicated, but the address as shown does not work…. 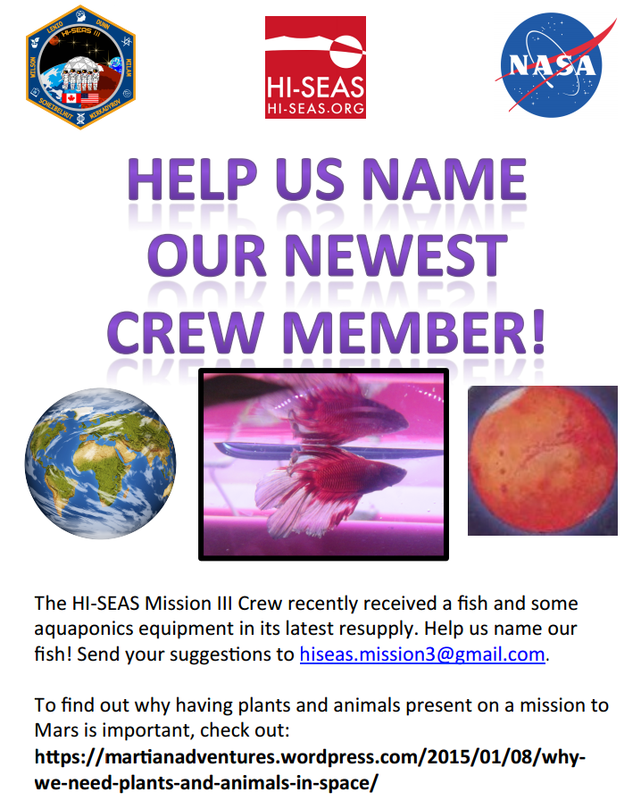 Flyer had the wrong email, it is updated now. Thanks for the heads up. How about “Marvin” (the Martian) from Bugs Bunny. Or maybe a nod to Jules Verne with “Captain Nemo”. Or Bud or Doyle, the dudes from Bio Dome.